Given the urgency of climate change, it is unfortunate that the recent ‘reset’ of UK energy policy missed a big opportunity. That is to take a more strategic approach to developing public policies to drive the rapid, transformative change required to reduce energy use and decarbonise its supply in order to reduce greenhouse gas emissions. Research has shown that public policies can be influential drivers of innovations in multiple sectors ranging from manufacturing to transport. However, transformations originating from technological innovation often take decades, time that we simply do not have. One reason for the slow progress is that some – or even many – of the institutions and policies in place delay change by favouring established unsustainable technologies and practices, for example the indirect and direct subsidies to fossil fuels and energy intensive practices. The kind of transformative change we need is going to be dependent on system innovation as indicated by the OECD in its recent report ‘Governance of Innovation Systems’. This has three features: 1) disrupting or complementary types of knowledge and technological capabilities, 2) fundamental changes in consumer practices and markets, and 3) novel types of infrastructures, institutional rules and skill sets. Schumpeter coined the term of ‘winds of creative destruction’ to describe a process which revolutionises the economic structure from within, making certain skills and capabilities redundant and creating new ones at the same time. He argued that the process of creative destruction is “the essential fact about capitalism”. In our recently published research, we show that this idea is still valid and can benefit thinking about transformative change towards low carbon energy systems. How policies can drive creative destruction? We propose that for the rapid uptake of innovations contributing to transformative change, policy portfolios need to include two types of measures. Firstly, innovation policies that support research and development, experimentation and market entry as well as guiding innovation towards societally important thematic areas (such as energy demand reduction). This includes the mobilisation of resources for these purposes. Secondly, broader, often sectoral, policy measures are needed that “destabilise” the non-sustainable institutional structures and practices. They reduce barriers for the wider diffusion of more sustainable technologies, services and practices. On the creative side, policy instruments include R&D funding, innovation platforms, educational policies, labelling, feed-in-tariffs, public procurement, deployment subsidies, advice for SMEs, venture capital funding and regulation. On the destructive side, possible policy measures include taxes and regulations setting limits on energy use or carbon dioxide emissions, reduction of subsidies for polluting technology and practices, structural reforms of legislation enabling system change, policy advisory councils with new actors involved, or even outright technology bans. Our research analysed all national-level policies potentially reducing energy demand in two European countries – the UK and Finland. We assessed to what extent the objectives of the policy measures can be expected to support innovation or contribute to the ‘creative destruction’ of high energy practices. We found that there are dozens of policies focused on creating low energy innovations (innovation which reduce energy demand or increase energy efficiency) but that there is much less attention on the destructive side of creative destruction. In the case of the UK low energy transition, the Climate Change Act started a destabilisation process. The Act introduced a longer term policy framework than is typical for election-cycle based policies, set up targets for binding carbon cuts, and created new organisations around it. Other disruptive policies we identified include the ban of incandescent light bulbs by the EU, new organisations changing established policy networks (such as the Committee on Climate Change) and policies changing crucial rules or significantly controlling the environmental impacts of activities (such as energy efficiency requirements of building codes or car fuel standards). The origin of many of these measures lie in the European Union. What matters is the interaction between the different policy measures and how they jointly support innovation and disrupt unsustainable systems in the long term. In light of the latest UK policy developments, for example, the success of such disruptive policies as the Climate Change Act and the Committee on Climate Change will be limited when many other potentially disruptive policies, including the zero carbon homes target, have been removed from the policy portfolio. Examples from elsewhere indicate that the recent changes in UK energy policy may reduce opportunities for transformative change towards low energy. For example, the German experience shows that a “well-orchestrated combination of policy measures” including technology push, demand pull and systemic policies is crucial for low energy transitions. The nuclear phase-out – a clearly disruptive policy measure – was found to be the most impactful by German companies in creating room for renewable energy options. The commitment of the UK government to phase out the use of coal over the next ten years will hopefully provide a similar stimulus to alternative options. Our work shows that for transforming the energy system, we need a policy portfolio that includes both innovation support and disruptions to the current high energy economy. This type of ‘creative destruction’ can bring many benefits beyond decarbonisation. It enables new innovation opportunities with export potential for frontrunners, reduced policy costs as a result of removing costly unsustainable or conflicting policy measures, and long term benefits through avoided environmental and health consequences associated with the existing high energy building stock. Just abandoning targets and instruments will not make the problems go away. 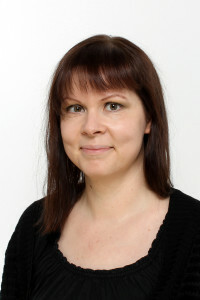 Dr Paula Kivimaa is a Senior Research Fellow at SPRU and the Centre on Innovation and Energy Demand (CIED). She is also a Senior Researcher at the Finnish Environment Institute SYKE. Paula has worked 13 years in research in the area of evaluating environmental, climate and innovation policy and examining their effects on innovation in energy and transport. Her work on policy evaluation, eco-innovation and socio-technical low energy transitions has been published in academic journals, including Research Policy, Environmental Policy and Governance, Environmental Politics, Journal of Transport Geography and Journal of Cleaner Production. Paula leads several projects on topics such as low energy housing innovation and energy services for building energy efficiency. 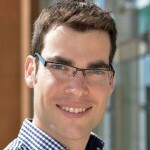 Dr Florian Kern is a Senior Lecturer at SPRU and Co-Director of the Sussex Energy Group (SEG). He has more than ten years of experience in research, consulting and teaching in the area of energy, climate and innovation policy and socio-technical transitions. Florian’s research focusses on policies and policy processes aimed at stimulating the transition to a low carbon economy. His work draws on innovation studies as well as policy analysis and political science. He has published in journals such as Research Policy, Technological Forecasting & Social Change, Energy Policy, Policy & Politics, Environment & Planning C, Policy Sciences and Environmental Politics. Florian is leading a cross-cutting project of the Centre on Innovation and Energy Demand on policy synergies and trade-offs.